Flashback more than 35 years and you’ll find restaurateur, author and holistic wellness counselor Karyn Calabrese at a place in life where many of us may be today. Doing a lot of reading, research and consulting with others about how to eat and live healthier in order to feel and look better. A self-professed product of the 60’s, Calabrese, who recently hosted a Throwback Thursday on Instagram, didn’t always eat the right foods or watch what she put in her body. The former model/actress who was raised in Chicago’s Hyde Park neighborhood admits to suffering from the wows of an unhealthy lifestyle. When her mother was diagnosed with cancer and started paying attention to the role foods play in health and recovery, Calabrese also started her own journey to health and well-being. Today, Calabrese says her diet consists of eating 99 raw, live vegan foods but notes that it took her a long time to get to this point. 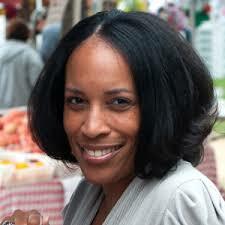 In addition, it has been more than three decades since she has consumed dairy or any type of meat including chicken. 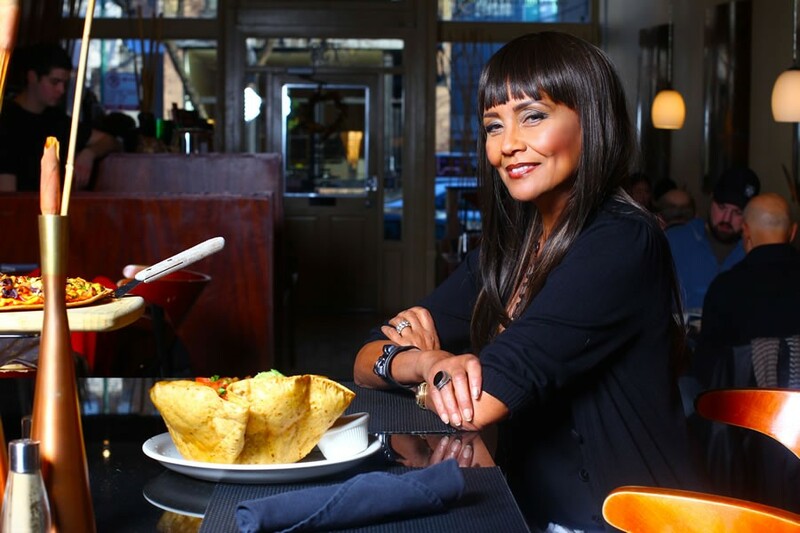 “I started out by helping people make transformations in their lives to eating better and ultimately the restaurant came in last,” she shares chronicling her career from counselor and entrepreneur to eventually opening her three restaurants over time; Karyn’s on Green (130 S. Green St, Chicago, IL 312-226-6155) for a fine dining experience, cooked vegan fare at Karyn’s Cooked (738 N. Wells St., Chicago, IL 312-587-1050) and the longest-standing gourmet raw food restaurant in the country, Karyn’s Raw Bistro (1901 North Halsted Street, Chicago, IL 312-255-1590). At the time Calabrese started out, she only knew one other person who was eating a raw vegan diet in the area so she decided to start a support group out of her home in Evanston on the 2nd Sunday of each month. “I would post signs at health food stores that would say ‘meeting in my home, alternative thinking discussions, bring a dish to share’ and I would list what was acceptable to bring.” The group went from six people to 90 within 6 months. Soon people started looking to her for advice and guidance and instead of looking for more modeling work, she turned a new business corner and started consulting and cooking for a client. “In between all of that, wheatgrass wasn’t well known. Nobody was doing it in Chicago, so I had rented a greenhouse in Evanston and I started growing wheatgrass. I was real hippy, I had a little table outside with a wheatgrass juicer and a basket for donations, it was an honor system. People would drive by, they would juice their wheatgrass, put their money in the basket and keep on going,” says Calabrese. Calabrese, who turns 67 in April and was selected as the winner last month for Harper Bazaar’s annual Fabulous at Every Age issue in the 60 + category, shows no signs of slowing down and continues to love sharing her knowledge with others. She was built a strong following of raw food enthusiasts who just can’t get enough. With each restaurant receiving rave reviews, it may be a little difficult in the beginning to decide which one to dine at first. Karyn’s Cooked offers recipes inspired by her great-grandmother. Calabrese says she learned to cook at her knee and here you will find lots of soul food dishes as well as Mexican. Karyn’s on Green offers an “earth-friendly” approach to vegan dining. Favorites here include the “Crab” Cakes served with roasted garlic spinach and the “Chicken” Leg with a hazelnut sweet potato hash. Expect to find something different each week at Karyn’s Raw which is a Bring Your Own Drink restaurant (corkage fee is just $5). Menu favorites include the Spinach Ravioli and ice cream which Calabrese is very excited about. 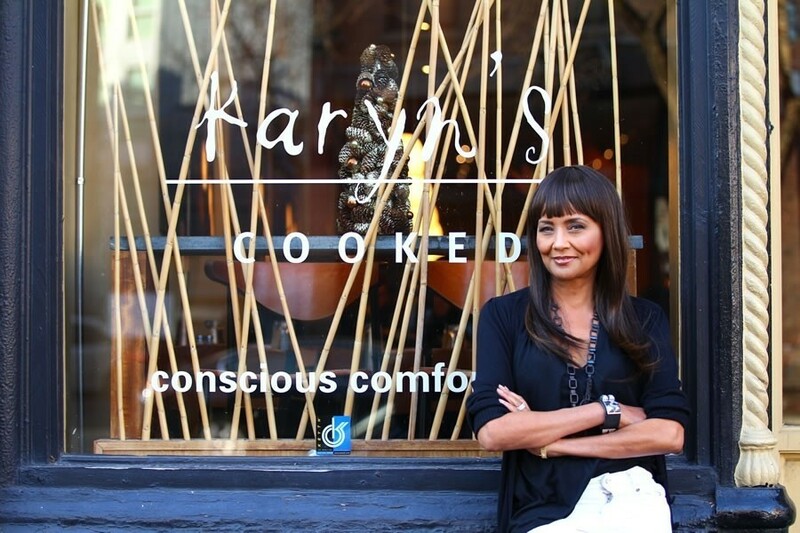 The ice cream is the inspiration behind her next raw food phenomenon in the making, Karyn’s Skinny Cream. This month Calabrese will kick-off her detox program that will meet for four weeks in Chicago. If you are like me and live in another state, you can join via her live streaming club or purchase the DVD package. In the end, the rewards will be tremendous. Great health, less sickness (if any), more focus and lots of energy are just some of the benefits Calabrese shares. In addition, she enjoys professional ballet classes with classmates in their 20’s. All in all, it is about loving yourself and your body enough to want what is best when it comes to what you put in it. “You need the commercial over and over again. You can’t read or hear to something once and just do it,” she says referring to changing one’s diet and habits. If making a healthy change is on your list for 2014, remember you are not alone. Be sure to visit Calabrese’s website for more information about her classes, restaurants and speaking engagements. You can get tips and resources on Facebook, Twitter and Instagram. Be sure to enjoy her No-Bake Chocolate-Peanut Butter Pie recipe below. 1. To make the crust, put the pretzels and agave nectar in a food processor. Process until the pretzels are ground and sticking together. Transfer to a 10-inch springform pan. Using the bottom of a glass, press the pretzel mixture evenly into the bottom and up the sides of the pan. Wash and dry the food processor work bowl and blade. 2. To make the filling, melt the chocolate chips in the top of a double boiler. Put the tofu, peanut butter, and soy milk in the food processor. Process until smooth, stopping occasionally to scrape down the work bowl. Pour in the melted chocolate. Process again until well blended. Pour the filling into the crust. Refrigerate for 2 hours, or until firm. 3. To make the coconut cream topping, put the cashews and water in a blender. Process until creamy, add the agave nectar and vanilla extract. Process on low speed. With the blender running, gradually add the coconut oil until incorporated. Serve a dollop with each slice of pie.